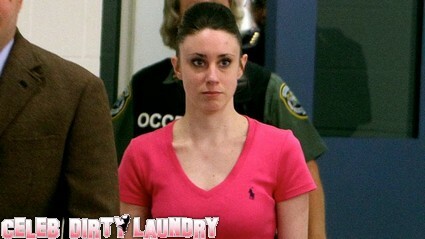 A new poll has murder mom, Casey Anthony, as the most hated person in the United States. Anthony, 25, remains in hiding since her release from jail following her acquittal in the death of her 2-year-old daughter Caylee, who would have turned six this week. Conducted by California-based E-Poll’s E-Score Celebrity research for the first week of August the poll shows that in the “total dislike” category Anthony comes out on top – with 94 percent of the respondents disliking her. The other 6% must not have heard the question properly… . Despite the constant barrage of media coverage of Caylee’s disappearance, Casey’s arrest, the murder investigation, and the trial, only 53 percent of the people surveyed were aware of the Anthony case. Where do the other 47% live? Of those aware of the Anthony case 57 percent of them considered Anthony “creepy” and 60 percent of the respondents considered her “cold.” I say she is creepy and cold. In the “total dislike” category, Anthony was followed by the former reality TV star Spencer Pratt with 88 percent dislike and Nadya “Octomom” Suleman with 87 percent. What did Spencer Pratt do to anyone? O.J. Simpson came in fourth, followed by Jon Gosselin with 79 percent of the respondents disliking him. So those surveyed disliked Spencer Pratt more than the murdering thug, O.J. Simpson??? Other names in the list included Levi Johnston, Paris Hilton, Hollywood madam Heidi Fleiss and radio shock jock Howard Stern. Where was Bristol Palin’s name?